The CPAlead API is a feed of all CPA and CPI offers in our system. With the API feed, you can import our offers into your network, display our offers in your mobile app, or display our offers within your custom website or game. When someone completes a CPA or CPI offer, you can reward your user in-game points or currency with our postback option. Recently we have updated our API’s device targeting which means you can choose to only display offers available to your visitor’s device. 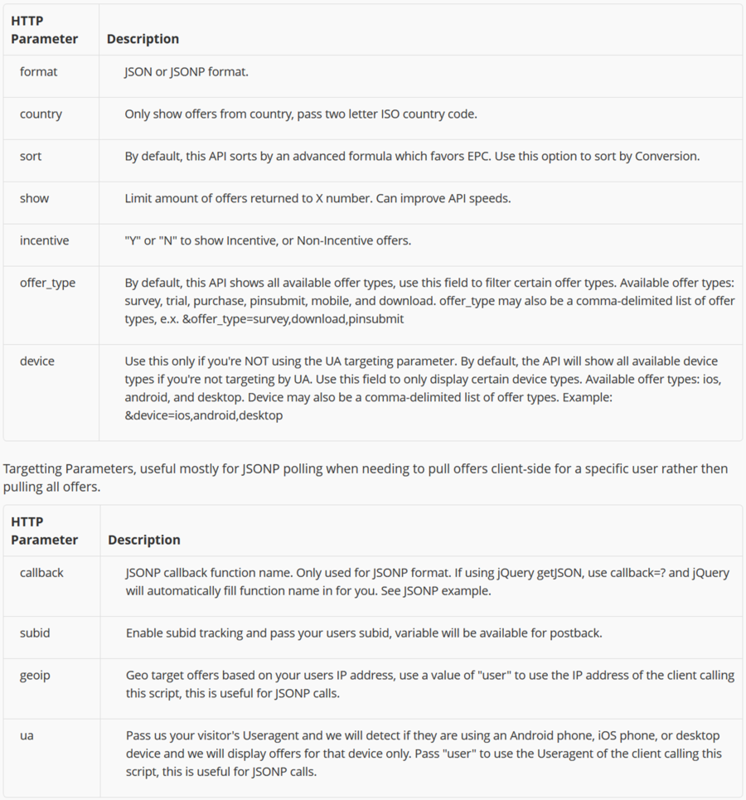 Here is a quick overview of how our JSON API works. We offer other targeting options and macro parameters allowing you to only pull the offers you want. Learn more about the CPAlead CPA and CPI API feed. Since 2006, CPAlead has paid out over $100,000,000 to mobile app and website developers in over 200 countries. As a premier Affiliate Marketing network, CPAlead has received numerous awards which include the NPGA's 2012 international "Hottest Company Of The Year" award and recognition from Inc. 500 as the #40th fastest growing company in the world.